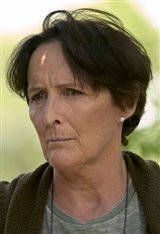 Irish-born Fiona Shaw may be best known by today's audiences for her portrayal of the loathsome Petunia Dursley in the Harry Potter series, but this veteran actress' storied resumé reads like a laundry list of dream jobs any performer would be lucky to have. Growing up in County Cork, Ireland, Fiona trained at the Royal Academy of Dramatic Arts, graduating with a class of actors who would likewise make a lasting impression on the world of cinema, including Jonathan Pryce and Juliet Stevenson, as well as future Harry Potter co-stars Kenneth Branagh and Alan Rickman. After appearances in a number of British TV shows, Fiona hit the big-screen in the late '80s with a role in Sacred Hearts, and 1989's Oscar winner, My Left Foot, opposite Daniel Day Lewis. From there Fiona maintained a steady presence on the big screen, including roles in 3 Men and a Little Lady, Jane Eyre and The Avengers . In the early 2000s Shaw took on a string of appearances in the Harry Potter films, as well as recent roles in The Black Dahlia and Catch and Release . Returning to the magical muggle world of Harry Potter, Fiona reprised the role of Petunia Dursley for the final time in 2010's Harry Potter and the Deathly Hallows: Part 1. She went on to appear in several films and television series, such as in Maiget and in the 2017 series Emerald City. Most recently Fiona returned to theaters in the biographical thriller Lizzie (2018) as Abby Borden, the stepmother to Lizzie Borden, and also in the drama Colette (2018) where she played alongside Keira Knightley and Dominic Shaw. Fiona was previously in a relationship with actress Saffron Burrows.